Red & Black Fall Classic High School Marching Band Festival this Saturday! Here’s your chance to come support 12 high school marching bands from Illinois, Wisconsin and Iowa at our 7th Annual Red & Black Fall Classic held at NIU’s Huskie Stadium and our 14th annual high school marching band festival. The show is produced in conjunction with the NIU Huskie Marching Band and sponsored by Bob Rogers Travel! Come out and support over 1,500 high school performers this Saturday! We are excited to announce the addition of Kelly Mitchell and Michael Richman as the movement designers for Phantom Regiment. In this role, they will serve as the chief creators and instructors of the movement, motion and dance choreography for the full corps. Mitchell is an alumna of Phantom Regiment and said she is honored to be back with her “home team.” She was a member of the color guard from 2007-2011, earning the DCI World Champion title with the corps in 2008. Mitchell also performed with the acclaimed Onyx Winterguard from 2011-2014, earning two WGI Independent World Championships. She has choreographed for Bands of America finalist groups Harrison (2013), Lawrence Central (2013), William Mason (2013-2015) and Broken Arrow (2014-2015), which won the Grand National Champion title in 2015. Mitchell has a bachelor’s degree in dance from Columbia College in Chicago. She is the color guard director at L.D. Bell High School and lives in Dallas, where she also works as a dance choreographer and instructor for several area schools in addition to her work at William Mason High School in Ohio. Outside of drum corps and marching band, Mitchell is an active performer and choreographer. While living and studying dance in Chicago, she performed works by choreographers Peter Carpenter, Tosha “Ayo” Alston and Hope Goldman, also studying with choreographer Kate Jablonski in her professional-level summer intensive. In addition, Mitchell studied with visiting Israeli artist Doron Raz Avraham of Batsheva Dance Company for a semester-long intensive in the Gaga Movement Language and repertoire of Ohad Naharin. She also debuted a solo work by Alison Gannon, entitled “A Place Worth Keeping Elsewhere,” which was accepted into the 2016 American College Dance Association’s Northwest Regional Conference at University of Wisconsin-Stevens Point. Richman, who is originally from Omaha, Neb., was a member of the Cavaliers color guard and later performed with Oracle Winterguard and OpusX in Denver. Richman has been teaching indoor and outdoor color guard since 2003 starting with Blue Stars and later with Blue Knights, Phantom Regiment and Madison Scouts. Richman, who lives in New York, dances with The Seán Curran Company. He has a bachelor’s degree in dance and choreography from University of Colorado-Boulder. While living in Denver, Richman danced for many local dance companies, including The Hannah Kahn Dance Company, 3rd Law Dance/Theater and Gabriel Masson Dance. His New York credits include CorbinDances and Project 44/Gierre Godley. 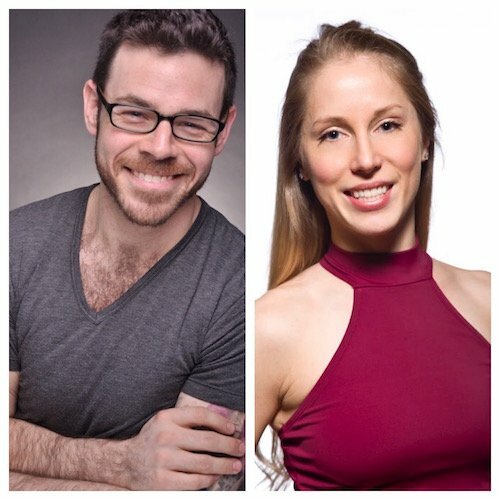 He teaches part time in the dance department at Muhlenberg College in Allentown, Pa. His collaborative dance theater, Tough Cookie Dance, was founded in 2011 with colleague Josselyn Levinson-Dustin. Tough Cookie Dance premiered at the Comedy in Dance Festival in 2012 and is a staple each year. The company was selected to premiere a new work as part of Dance New Amsterdam’s curated series Raw Material. Tough Cookie has created three half evening-length and one full evening-length works focused on the current struggles of making art in New York City. Auditions are right around the corner. Dates and locations across the country are available. Read more about 2017 auditions here. The Red & Black Fall Classic at Northern Illinois University’s Huskie Stadium is on Saturday October 1, 2016. This will be the 14th year the Phantom Regiment has produced a high school marching band festival, and this will the 7th event in partnership with the NIU Huskie Marching Band. The show start time is tentatively 6:00pm depending on how many more bands sign up. The deadline is Friday September 9th. If you’re looking for a great opportunity to perform under the lights at a great stadium, we have room for you! 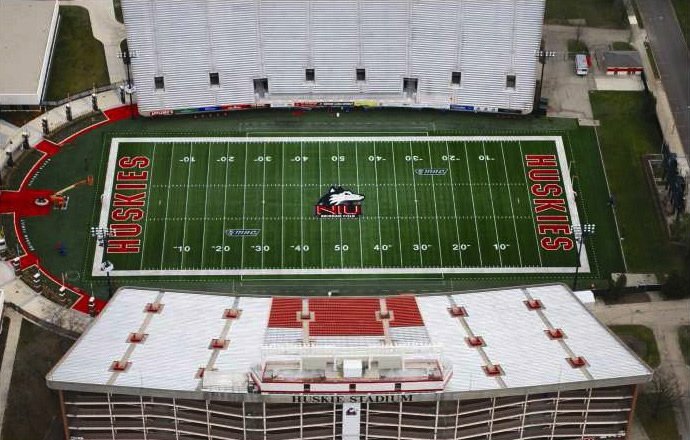 Your band can take part in the competitive or festival rating class while they perform in one of the best venues in the state of Illinois – NIU’s Huskie Stadium. Executive Director Rick Valenzuela and Director of Programs & Corps Director Dan Farrell are pleased to announce that Wes Cartwright has been named to lead the corps’ design team as Artistic Director. In this role, Cartwright will be in charge of conceptual and visual design as well as overall show development. 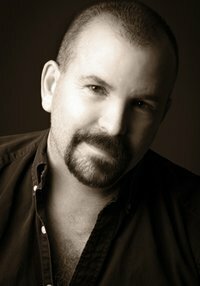 Cartwright is one of the foremost names in the field of pageantry, program design and visual innovation. Since 2006, Cartwright’s groups have won four Bands of America Grand National Championships in 2006, 2007, 2011, and 2015 as well as five runner-up finishes (he didn’t have a group competing in 2013). His groups have also won Visual GE at the Bands of America Grand National Championship Finals in 2005, 2006, 2007, 2011, 2012 and 2015. Cartwright’s groundbreaking concepts have entertained, provoked, educated and inspired generations of students, directors, instructors and enthusiastic fans for years. Also new to the team, and assisting Cartwright with the visual design, is Mark Moreno. Moreno has more than 15 years of experience in the marching arts activity. From color guard to drill design, Moreno’s overall involvement spans all possible areas of design. Mark was a member of Fantasia Winter Guard from Riverside, Calif., and the Blue Devils Drum and Bugle Corps of Concord, Calif. Following his years of performing, Moreno began applying his skills in the areas of program coordination, drill design and graphic design. Currently, he resides in Cincinnati and has been the color guard director for William Mason High School, a BOA Grand National Finalist, since 2011. He has worked as a visual designer for programs across the country. Returning to the design team will be Will Pitts (Brass Arranger) and Rob Ferguson, who will step into a new role as Percussion Arranger and Caption Supervisor. Phantom Regiment would like to express its most heartfelt thanks to Bret Kuhn for what he brought to our phamily and the percussion section. Kuhn is turning over the battery arranging and overall percussion supervision to Ferguson, whom he had brought to the Regiment in 2015 as the front ensemble arranger and supervisor. Kuhn consulted with the Regiment starting in 2012 and took over in 2014. The design team has already started the process of creating the production for the 2017 season. Auditions are right around the corner. Dates and locations across the country are being finalized and will be announced soon. If you’d like to be notified when those are released, click here to sign up. Are you ready to leave your mark on our rich history and leave your mark on the field this upcoming summer? Are you ready to audition for the 2017 Phantom Regiment? We are adding additional dates & locations to audition, and will have all the information posted soon. Join our Audition list if you’d like to be notified when updates are made and when registration opens. Sign up here to be added to our notification list. The satellite audition clinics will be full days that include clinic and auditions. They will not include any transportation, lodging or meals. The dates and locations will be announced soon. Don’t forget to join our Audition list to be notified when updates are made and when registration opens. Sign up here to be added to our notification list. What’s holding YOU back? It’s time to follow your dreams & goals and be on the field with Phantom Regiment in 2017! We look forward to seeing you this audition season!